If you have a bucket list of great places to drive, one of them has to be the Pacific Coast Highway or Highway 1. This highway meanders up the Pacific Coast from San Diego through Los Angeles and San Francisco right up to the border with Oregon. It has to be one of the most scenic drives, as well as one that is loaded with history. While there are probably too many wonderful views to name, these five are good enough to be a destination all on their own. So crank up those tunes and get ready to hit the road. These five stops along the way should be part of anyone’s summer road trip fun. Nothing quite matches the majesty of a redwood forest. 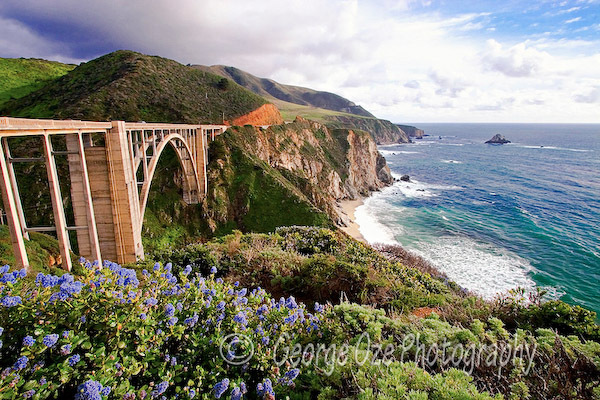 The Coast Highway winds through Big Sur and Monterey, showing off some of the most beautiful scenery on the coast. Big Sur has a history of being an art colony and writers haven for over a century. Stay at one of the many little cabins that dot the highway, walk through the silent wonder of this ancient forest or sit along the wind-swept shore. Don’t forget to watch for the herds of zebra when you drive up to the castle from Highway One. This strangely beautiful collection of buildings is worth taking the day to walk through. 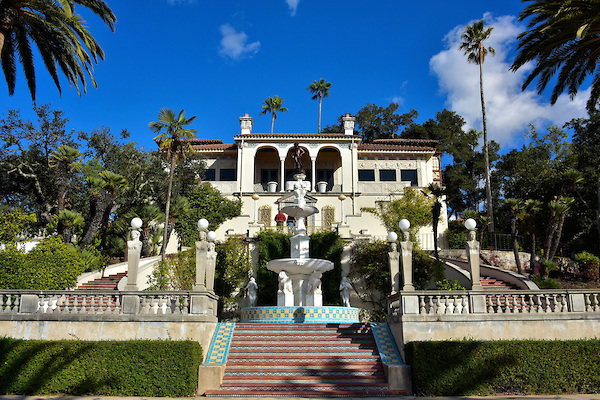 Don’t skip the guided tours; the stories connected with Hearst Castle are many and legendary. John William Randolph Hearst was a man that was bigger than life, enjoyed it to the fullest and it shows. These grounds reflect the lifestyle of one of history’s most colorful newspaper barons who threw lavish parties for the Hollywood set during the 1930s and 40s. This stretch of incredible white sand is home to the Pismo Clam, a very tasty morsel that you will want to sample while visiting. 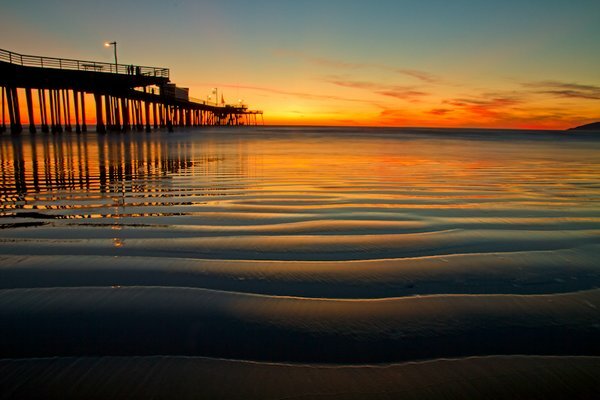 The town of Pismo Beach in central California is typical of many small seaside towns in this area, quaint and easy going. The state park is one of the few that allows camping right on the beach, which is a unique experience. Imagine falling asleep in your tent to the sound of crashing waves and waking to the cry of gulls circling for their breakfast. The frequent morning fogs just add to the atmosphere. While driving along the Pacific Coast Highway you cannot miss the sight of Morro Bay rock. This giant mountain top sits isolated in the bay and creates an eerie atmosphere for the little seaside village. While an afternoon will show you everything there is to see in the village, walks along the beach and local seafood dinners give you another side to the Southern California lifestyle. Nearby vineyards add amazing local wines to the table. 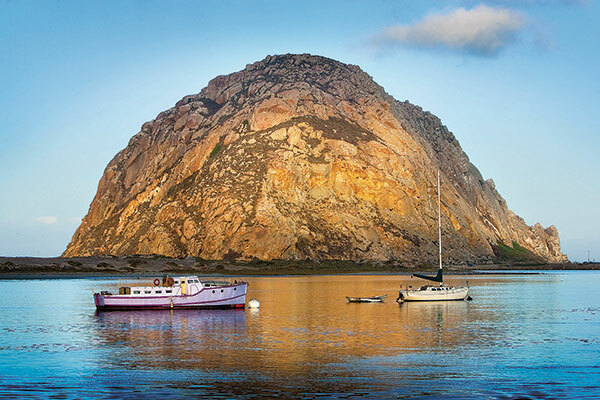 Morro Bay is a quiet stop, but worth the time to savor and enjoy. 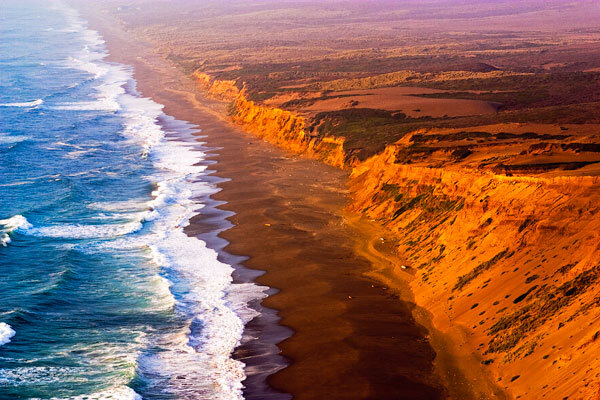 When you head north of San Francisco this peninsula can beckon for the sheer number of seabirds that call it home. There is a bit of everything in this area, from rocky headlands to gentle wildflower meadows. You can find out about the many cultures that have lived here, get tours through the forests or just walk the trails. It has sand dunes along the coast to climb, elk who wander along its forest floors and estuaries that are home to so many birds you will lose count.